In addition, Morgan Stanley’s investment of tax credit equity was the largest it has ever made in one of these projects in the country. The Bell Building now provides 155 units of Permanent Supportive Housing for formerly homeless individuals and is the new corporate headquarters for the Neighborhood Service Organization. The project has also been a key catalyst for community development efforts in the area. Ethos recently secured an award of Low Income Housing Tax Credits (LIHTC) for South Oakland Shelter and Southwest Housing Solutions to develop 64 units of affordable housing in Oak Park. Closing on financing for this $14 million project is expected to happen in spring 2019 with project completion and lease-up by the end of 2020. 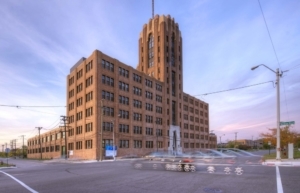 Ethos has been providing development assistance to Coalition on Temporary Shelter (COTS) which is redeveloping its headquarters at 26 Peterboro in Detroit into 56 units of Permanent Supportive Housing for homeless families. 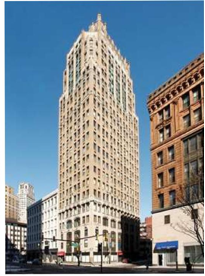 This $19 million project received an award of LIHTC from MSHDA in 2017 and will also be using Historic Tax Credits and Detroit HOME as sources of financing. Closing on financing for the project occurred in October 2018. The building is expected to lease-up in late fall 2019. 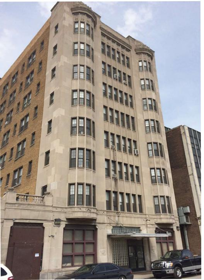 Ethos has been providing development assistance to the Neighborhood Service Organization and MHT which are developing a transformative project in Detroit that will provide 42 units of Permanent Supportive Housing for homeless individuals as well as services and a shelter for the homeless population in the city. The $12 million residential portion of the project received an award of LIHTC from MSHDA in 2017 and will be closing on this financing in early 2019. Financing for the homeless services and shelter facility to be co-located on the site will be secured in 2019. Ethos was selected through a competitive RFP process by the City of Detroit and the Archdiocese of Detroit to redevelop the historic Transfiguration School on the east side of Detroit. This $6 million project is currently in predevelopment with closing on financing to occur in fall 2019. Ethos is providing development and financing assistance to the North Flint Reinvestment Corporation to develop a cooperative grocery store that will provide healthy and affordable food options to an underserved community. Interested in talking to us about a project? Reach out today. Ethos Development Partners is a team of experienced consultants that assist organizations seeking to engage in transformative housing, commercial and community development initiatives.